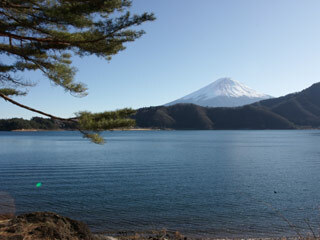 Lake Kawaguchi (河口湖, kawaguchiko) is the one of the five lakes around Mt. Fuji. It is the second biggest lakes, and it has longest shore line. A lot of family activities take place in Lake Kawaguchi. Lake Kawaguchi is the famous destination for family trip, so there many hotels around. Lake Kawaguchi is the only Lake which developed as tourist attraction in Fuji Five Lakes.